You may be stuck on using one particular brush for everything you do to your hair, but did you know that different brushes offer different results? That’s why BigDaddyBeauty.com carries a variety of hair brushes to suit your individual hair and styling needs. Here’s what each brush does for your locks. 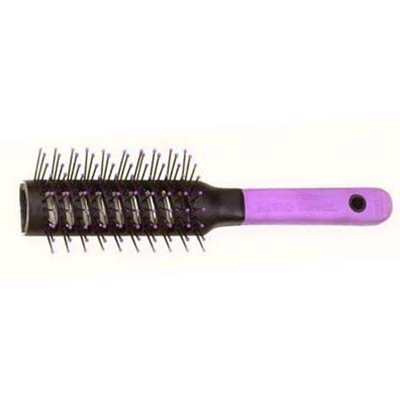 This type of brush is made for achieving curl, but specifically for hair straightening needs. Use a barrel brush when you blow dry your hair in order to get better, straighter results. And a boar bristle barrel hair brush is even better as it helps you maintain control when blow drying. It also helps distribute your hair’s natural oils resulting in a perfect shine. Barrel brushes are great for at home or salon use and are created with thick or thin bristles depending on the type of hair it is used on. The paddle brush is most likely your go-to brush. The shape of a paddle brush is strategically created to perfectly fit to your head giving you smooth results with every stroke. But while each paddle brush is made just for you, you must figure out which type is actually the best. 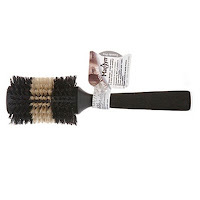 Boar bristle paddle brushes work well with long, frizzy hair. While a cushion brush is better for short to medium hair with less or no frizz. Vented hair brushes are most commonly used for adding lift and volume to your hair but the openness of the brush design allows for air flow to the hair, resulting in a quicker blow dry time. 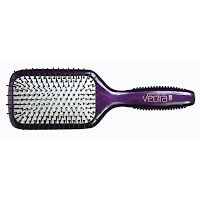 Vented brushes also give your hair movement and help to easily style hair after it has been curled. This is a great brush for those with medium to thick hair because it helps to decrease tangling. 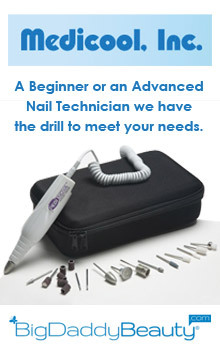 Hot air brushes are unique devices that can be described as a brush and blow dryer in one. Hot air brushes release heat so that you can essentially dry and style your hair at the same time. 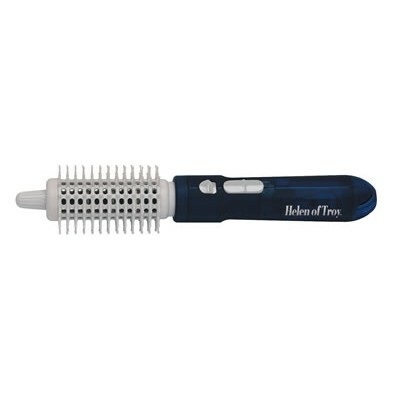 It also frees up your second hand that would usually be using a brush or blow dryer so you can now do your hair one-handed. Now that you know the benefits of different brush types, you have endless hair styling possibilities. Shop BigDaddyBeauty.com for tons of brush options and brands and let us know which brush or brushes work best on your hair.